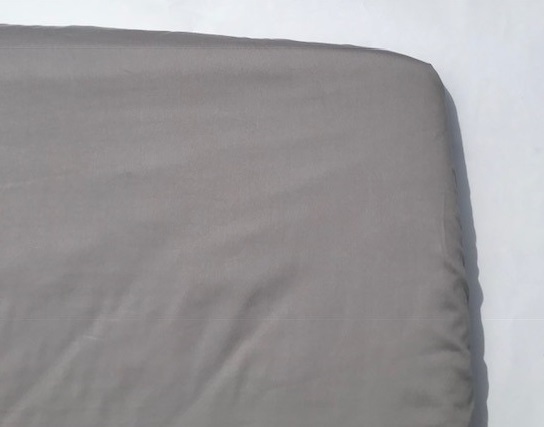 Tizzie loves these sheets because they are made with performance and comfort in mind and are luxuriously soft. They are silky to touch and great against baby’s skin. The pesticide-free bamboo used in these sheets is a wonderful material that helps baby stay warmer in winter and cooler in summer. Babies and Toddlers less than 2 years old do not need a pillow so we have included a comforter/burper rather than a pillow case. These have multiple purposes which include using over your shoulder while burping your baby, lying under your baby’s head while baby sleeps to collect any little vomits and best of all they can be used as a comforter for a baby to use as a positive sleep aid which in return will help your baby to feel safe and secure. For toddlers over 2 years of age we have pillows and pillow cases available on the Save Our Sleep® website. Please choose pack size from drop down box. I just wanted to thankyou so much for allowing me to trial your new sheet sets. As a mother of babies that have super sensitive skin I am quite fanatical to say the least about what products I use. I have been using other blended sheets but I have to say WOW yours are so much better!! More luxurious, your sheets seem well, almost “silky” to touch and did wonders for not irritating my baby’s skin. I loved the Burper which I just popped under her head each sleep. She was a relux baby so it was easy to replace it with another one instead of having to wash the whole sheets. It just seemed to me that your sheets are so much more absorbent, any relux was absorbed into the Burper. I also used the Burper to place against my clothes as any contact with other fibres irritated her skin. They also wash and dry well (kind of important for us mums). As an added bonus, I trialled the sheets with my 2 year old little girl. She has such trouble with tangles in her curls and I was sceptical that anything other than painful combing each morning could help. Well I was wrong! After sleeping in your sheets her hair was so much better! In fact I think I need them on all our beds. I hope you plan to make them for adults. Thankyou for another wonderful product Tizzie, it’s made my life so much easier. Be one of the first to review the Save Our Sleep Bamboo Cot Sheets.